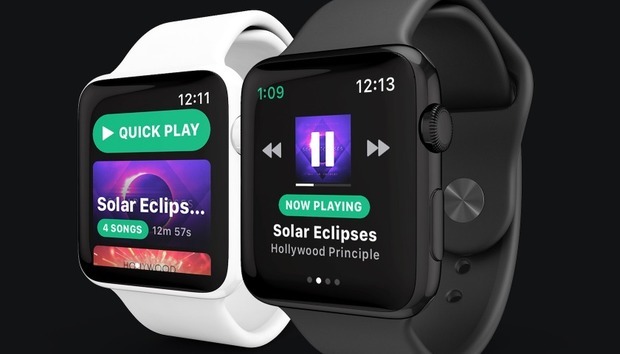 It seems there’s no longer any bad blood between Spotify and a third-party app developer that intended to bring the streaming service to Apple Watch. Snowy developer Andrew Chang announced that he’s “working closely” with Spotify to make Snowy the official Spotify companion app for Apple Watch. Chang made the announcement on the Apple Watch subreddit, and it was covered by 9to5Mac. The developer did not reveal which Snowy features would be adopted by the official Spotify Apple Watch app, nor did he specify a release date. “Spotify’s powerful iOS SDK made it possible to develop Snowy, but I can’t wait to take things to the next level with the expertise and tools available at Spotify,” Chang added. I can’t wait to take things to the next level with the expertise and tools available at Spotify. Originally, Snowy was called Spotty, and this raised some red flags for Spotify. According to Chang, Spotify’s legal representatives contacted him shortly before the app was set to be released and “expressed some concerns” over the branding and the name. As a result, Chang was asked to change the name to Snowy and rebrand the app to avoid legal issues with the streaming service. Even though Snowy never made it to the App Store, 9to5Mac got to test the beta version, which included offline playback capabilities and workout integration. In addition, Snowy was designed to work only with Spotify Premium accounts. The impact on you: It sounds like Spotify had a solid legal case to shutdown Spotty, but the streaming service must have been impressed with Chang’s app that it decided to make it the official Apple Watch companion. This means that Apple Watch wearers with a Spotify Premium account will have to wait a little longer to be able to listen to music without bringing an iPhone, but at least there is no chance that the app will be taken down because of legal issues.